It’s Presidents’ Day here in the USA today, which means the kids are home from school and I am off my daily ritual. Since I can’t sit down and write with them running around, I took the time to take care of a few things that needed taking care of. Namely, I did some garage reorganization. It’s a small thing, but I finally mounted a rack on the wall for my road bike. I’ve had this bike since my long-distance cycling days in Colorado back in 1997, but I don’t get to use it much these days. 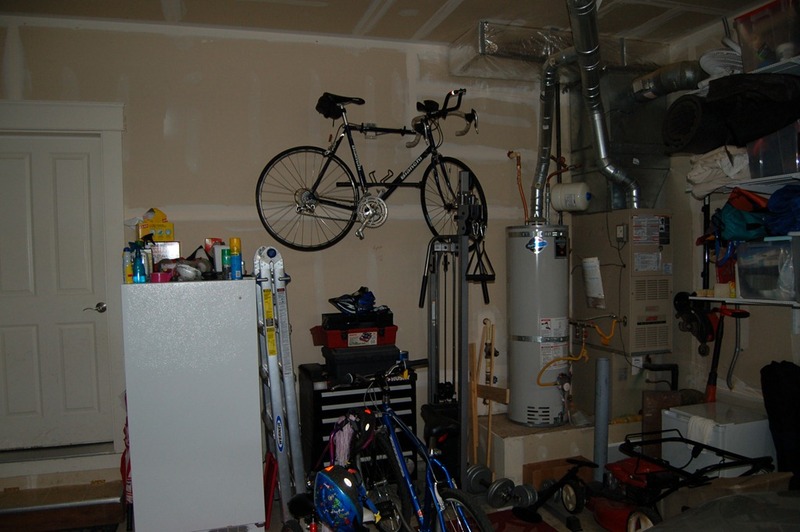 It’s been sitting along one wall for years (which isn’t great for its tires), and taking up space that will soon be needed for another, more casual bike I can use when I go for rides with the family. The gears on my road bike are set up in such a way that there’s no way I can go slowly enough to allow my kids to keep up with me. So in the next month or so, I’ll head down to the local bike shop and buy a cheap hybrid or mountain bike to use for riding around town with them. Now I have room for it. 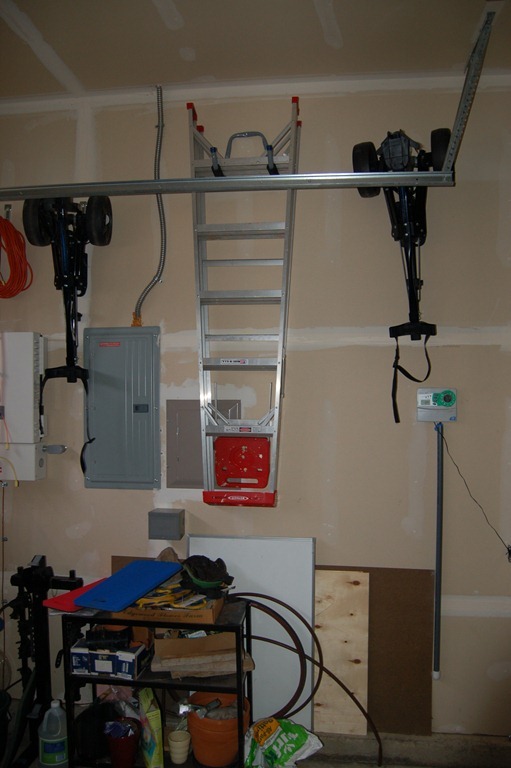 I also put up new hangars for my step-ladders in the garage. The old ones worked, but were very unstable, and, in a earthquake, would have dropped the ladders right onto our cars. I doubt that insurance would have covered the damage. So I spent ten bucks and bought a little piece of mind. I also bought a new rack for my shovels and rakes. A couple of years ago, my son knocked a rake off the old, cheap rack we had, and scratched the car. I figured it was just a matter of time before it happened again. Again, five bucks is a pretty cheap preventative measure. Two years ago—pre-GBS—the effort of putting these things up would have just been a warm-up for a day of yard work. But after a couple of hours of going up and down the ladder, and putting the bolts in, I was exhausted. But at least I’m not broken like I would have been had I done it last summer. But I’ll probably take it easy the rest of the afternoon, just the same.